There are many reasons to visit Argentina, the most populous country in South America and largest Spanish-speaking country on earth. World famous Buenos Aires is a beautiful city filled with beautiful people. In the San Telmo neighborhood, where the Tango was born, students can see the Plaza de Mayo and the “Casa Rosada” Government House. Drive along Avenida 9 Julio, the widest avenue in the world. Visit the Recolleta Cemetery where Eva Peron is buried. School groups can visit museums and the famous Colon Opera House. Outside of the capital, take an excursion to an Argentine Estancia to enjoy a traditional barbeque with folklore music. You may even want to include a visit Uruguay by hydrofoil boat. If you do, don’t miss an excursion to the reknowned Iguazú Falls. Brazil is the largest country in Latin America, spanning remote Amazonian rain forests and boisterous cities on the Atlantic Ocean. 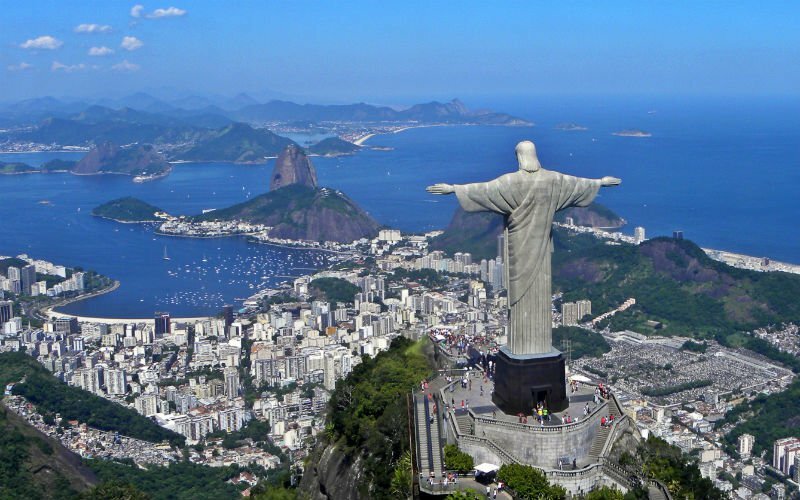 Home to the Summer Olympics in 2016, Rio de Janeiro is nothing if not exhilarating. Flanked by gorgeous mountains, white sandy beaches and verdant rainforest, Rio occupies one of the most spectacular settings of any metropolis in the world. No school trip to Rio would be complete without visiting the huge, iconic statue of Christ the Redeemer that overlooks the city. Sao Paolo is the largest city in Brazil and the financial hub of the country. Most of the wealthiest people live in Sao Paolo, and their patronage has fostered impressive cultural and art scenes.